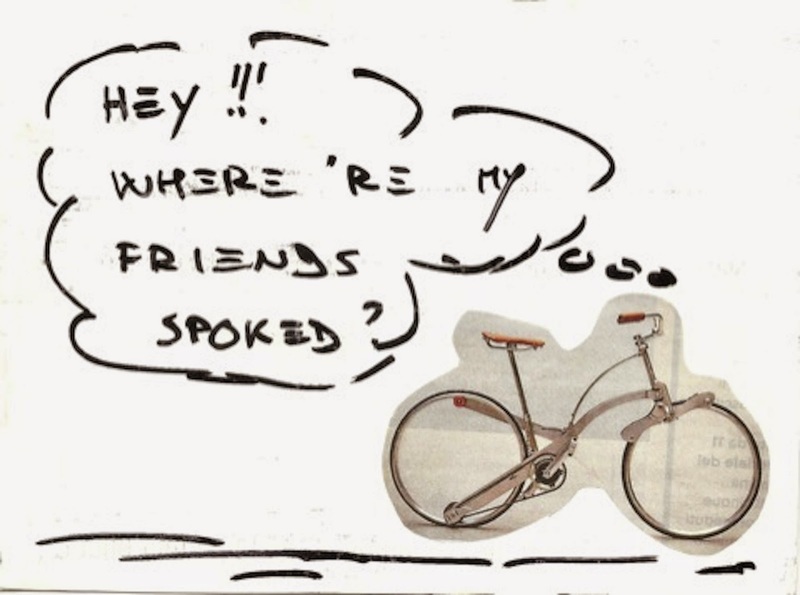 Interesting bicycle - no spokes! Can it be real? I think it is. Silvano Pertone gives us a bit of a puzzle? Enter as many times as you like! 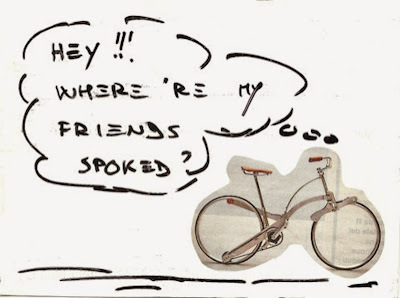 Send Bicycle related Mail Art for the exhibit!